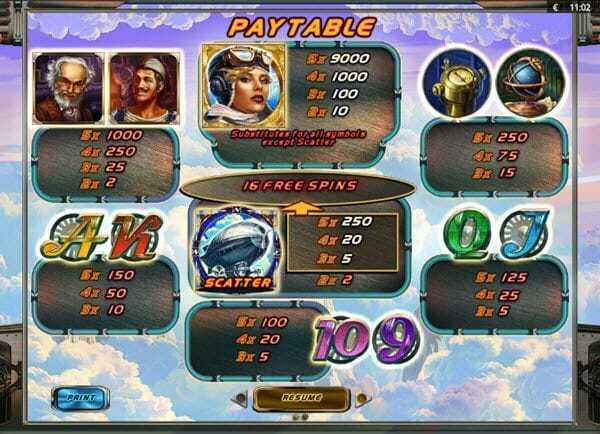 Here's a superb new online slots game from Playson that you can play. This is the perfect slot for high flyers who want to soar to new heights! With a historical aviation theme, there is nothing to stop you taking off! It is time for you to take the wheel and drive this retro airship. The serene background depicts fluffy and welcoming clouds and the odd icy peak which you will drift past as you explore the heavens. Do not expect to receive help from modern automated gadgets; you will need to navigate and steer the airship using only the vintage instruments available to you. Don’t worry if you are unsure how to use this equipment at first – a skilled female pilot, an engineer, and a crewman are all around to help show you the ropes. Playson are a Maltese based company, founded in 2010. Since then they have developed over 40 highly popular games that have proved favourites in the European market. Their creativity and ambition ensures they consistently produce games with a strong back story and immersive qualities. If you enjoyed the escapist quality of the gorgeous backdrop of this game, you should have a go at their Happy Jungle slot, which will transport you to an idyllic tropical beach – you can almost feel the sand between the toes! This is a 5 reel slot with 21 paylines. A jackpot of 9000 is on offer if you play the maximum bet per line of 2. The minimum stake per line is 0.01. The pilot herself is the most valuable winning combination on the board and is also the Wild, meaning she can substitute for other symbols to help you secure more wins! The other important symbol to keep an eye out for is the airship – this is the Scatter. If three of them appear on your screen at any one time, you will be rewarded with 16 free spins. During these bonus games, the airship becomes a second Wild! If the power of flying your own plane gets to your head, you can assert even more control by taking advantage of the Stop Spin feature and try and decide where the reels will land! Alternatively, if you fancy a break from the wheel, activate the convenient Autoplay feature. A Gamble round gives you the chance to double your winnings by correctly guessing the colour of the bottom card in the deck, but get it wrong and you will lose all your winnings from that round! 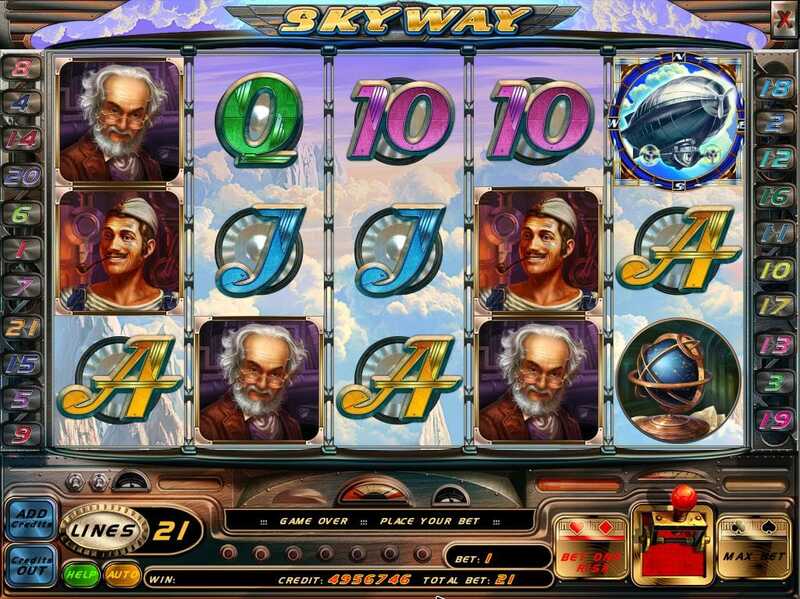 I love the imaginative and immersive theme – the excitement of air travel as a new phenomenon is perfectly conveyed in this slot, and really creates a sense of adventure that will enthral players. The exciting backing track also adds to the sense that you are on an important mission!